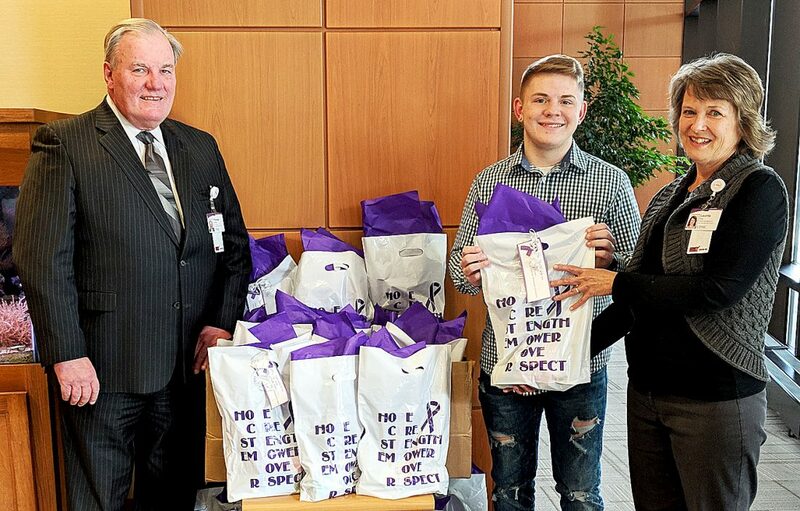 Logan Fisher, a senior at Central Mountain High School, recently donated bags of care items for cancer patients at UPMC Hillman Cancer Center in Williamsport. 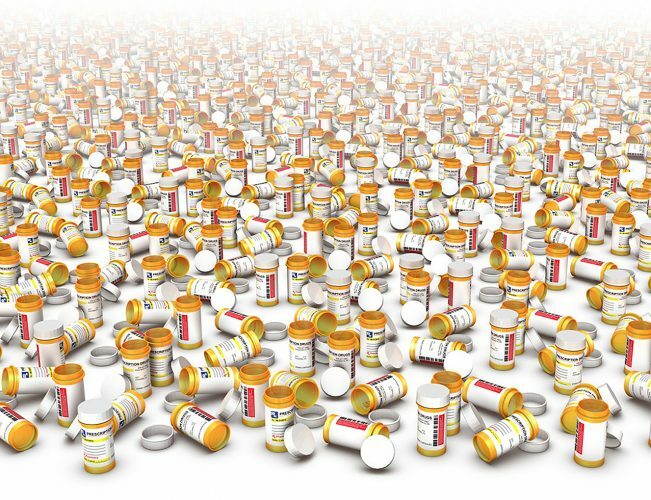 Logan has been active in Relay for Life since he was young, and for his senior project partnered with Coaches vs. Cancer to host basket raffle fundraisers during basketball games at his high school. Proceeds from the raffles were used to purchase the care items. From left are Tom O’Connell, major and planned gifts officer for Susquehanna Health Foundation. Pictured are Logan and Laurie King, patient navigator at UPMC Hillman Cancer Center in Williamsport.